We get “news alerts” every day about American companies that donate large amounts of money products and services to help communities overseas. Why do so many companies donate renewable energy goods & services but so many also ignore so many in USA? From Maine to Hawaii and all states people from all ethnic backgrounds also rely on dangerous kerosene lamps and heaters, which are both fire and carbon monoxide dangers. What about Native Hawaiians and those in the US’s Pacific Island territories such as Guam or US Samoa? They are in different but not equal category as Navajo, Hopi, Aleuts, etc. I’m not sure why, but I know it does a lot more cost more to live in the Aloha state than most parts of Arkansas, Upstate NY, Indiana, Colorado, Nebraska, etc. During the 11/14/13 press conference, US Energy Secretary Ernest Moniz stated: “We are looking forward to establishing and advancing a subgroup of the White House Council on Native American Affairs, to really focus on energy development, energy deployment in Indian country,” he said. “I think, working together, with us and agriculture, EPA and other cabinet colleagues, we really want to harness the energy potential in Indian country—conventional energy, renewable energy—to expedite clean energy deployment and electrification. US Department of Energy Press Release (photos from sources noted are added by SolarLightingSmart.com) As part of the Obama Administration’s commitment to strengthening partnerships with Tribal nations and building stronger, more resilient communities that are better prepared for a changing climate, the Energy Department today announced nine tribal clean energy projects to receive more than $7 million. Highlighted during the 2013 White House Tribal Nations Conference, these awards will help American Indian and Alaska Native tribes deploy clean energy projects – saving these communities money, enhancing their energy security and creating new job and business opportunities. “American Indian and Alaska Native tribes host a wide range of untapped energy resources that can help build a sustainable energy future for their local communities,” Energy Secretary Ernest Moniz said. 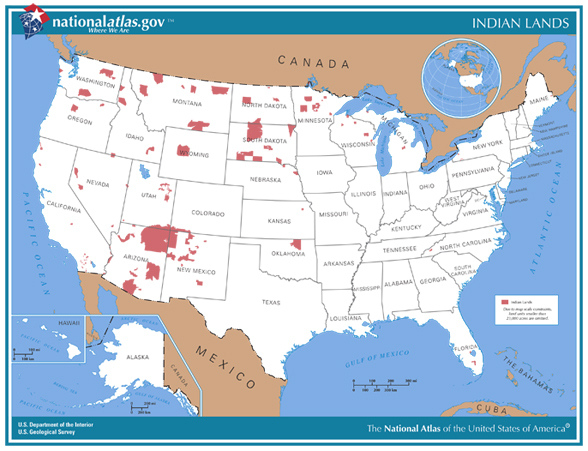 “Responsible development of these clean energy resources will help cut energy waste and fight the harmful effects of carbon pollution – strengthening energy security of Tribal nations throughout the country.” According to a recent study by the Energy Department’s National Renewable Energy Laboratory, American Indian land comprises two percent of the U.S. land, but contains an estimated five percent of all U.S. renewable energy resources. Coeur d’Alene Tribe (Plummer, Idaho). The tribe will implement energy upgrades to refrigeration systems at its Benewah Market, helping to reduce energy consumption by about 30 percent. Gwichyaa Zhee Gwich’in Tribal Government (Fort Yukon, Alaska). The project will complete an energy efficiency retrofit to the tribe’s main office building, including building shell upgrades as well as the installation of efficient lighting and a solar electric system. These efforts could help reduce fuel oil use by nearly 50 percent. Forest County Potawatomi Community (Milwaukee, Wisconsin). The tribe will install solar panels on eight tribal facilities, replacing 25 to 70 percent of the total “traditional” energy used by each of the buildings. Menominee Tribal Enterprises (Neopit, Wisconsin). This project will help install a biomass-fueled combined heat and power system to power the tribe’s sawmill and lumber drying operation. It is estimated that conventional/non-renewable fuel consumption will be reduced by over 80 percent annually. Seneca Nation of Indians (Irving, NY). The tribe will install a 1.8-megawatt wind turbine near Lake Erie. The wind turbine is expected to generate about 50 percent of the electricity used on the entire reservation. Southern Ute Indian Tribe Growth Fund (Ignacio, Colorado). This project will help install an 800-kilowatt solar energy system to provide energy to multiple Southern Ute buildings. This solar system could help replace nearly 40 percent of the total traditional, non-renewable fuel used by these buildings. Tonto Apache Tribe (Payson, Arizona). The tribe will install solar arrays on three of the tribe’s largest energy consuming buildings, helping to meet more than 60 percent of the buildings’ total electricity needs. White Earth Reservation Tribal Council (White Earth, Minnesota). Project will install a woody biomass-fueled boiler to heat a tribal facility, replacing over 60 percent of the fuel oil and propane currently used to heat the facility. Winnebago Tribe of Nebraska (Winnebago, Nebraska). The tribe will install a solar energy system to help power the Winnebago police and fire building, providing about 30 percent of the building’s energy use. The solar system will also serve as an emergency backup power generator. 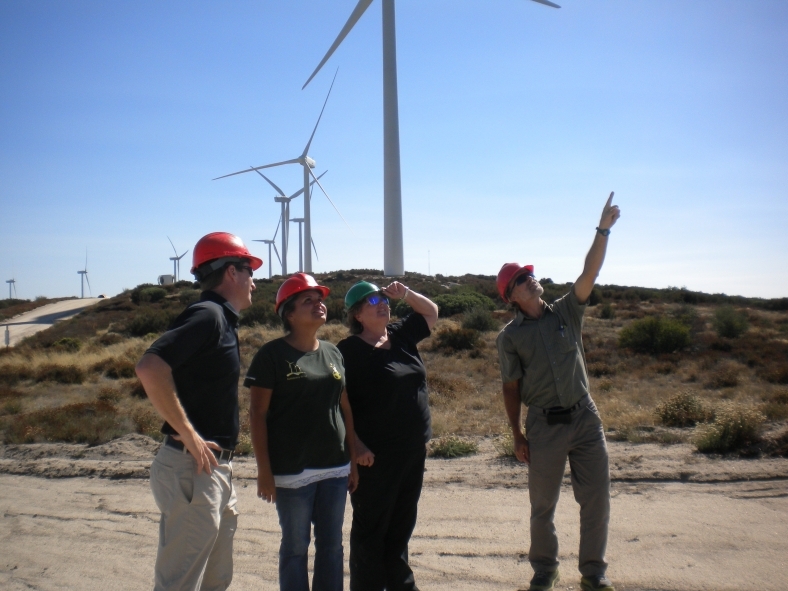 Since 2002, the Energy Department’s Tribal Energy Program has invested nearly $42 million in 175 tribal clean energy projects, and in collaboration with the Department’s Office of Indian Energy Policy and Programs, provides financial and technical assistance to tribes for the evaluation and development of their renewable energy resources, implementation of energy efficiency to reduce energy use, and education and training to help build the knowledge and skills essential for sustainable energy projects. Copyright 2013, SolarLightingSmart.com, SolarFlairLighting.com, AM McElroy. This post may not be used in any manner without express written consent of one of the above parties. Sources to all materials used in this article are clearly denoted. This entry was posted in Renewable Energy/Energy Efficiency, What's New and tagged clean energy, clean energy projects, sustainable energy, US Department of Energy by SolarLightingSmart. Bookmark the permalink.